April 2018 ~ Maryland Polo Club member and former Garrison Forest Girls I/I coach, Cindy Halle received a well deserved honor at the USPA/PTF awards ceremony this past April. 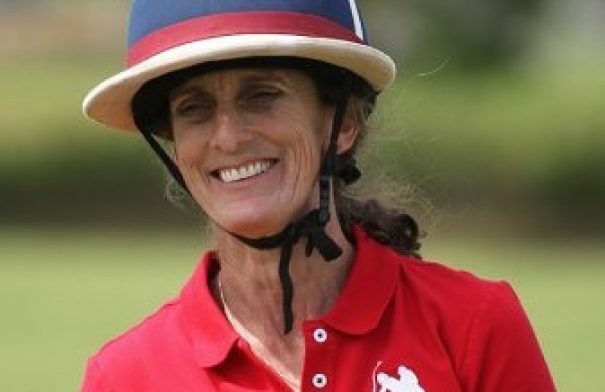 Leading her Garrison Forest School teams to seven National USPA I/I Girls’ Interscholastic Championship titles, renowned polo coach and USPA Certified Polo Instructor/Certifier, Cindy Halle, has played an instrumental role in the development of young players throughout her illustrious career. Recognized for a lifetime commitment of enhancing others through the experience of polo, Halle was named the 2018 USPA Woman of the Year.